No one will guess that this rich, elegant dessert is made with only 2 ingredients—white chocolate and whipping cream. Microwave chocolate and 1/4 cup cream in large microwaveable bowl on HIGH 2 min. or until chocolate is almost melted, stirring after 1 min. Stir until chocolate is completely melted and mixture is well blended. Cool completely, stirring occasionally. Add half the whipped cream to chocolate mixture; stir with whisk until blended. Stir in remaining whipped cream. 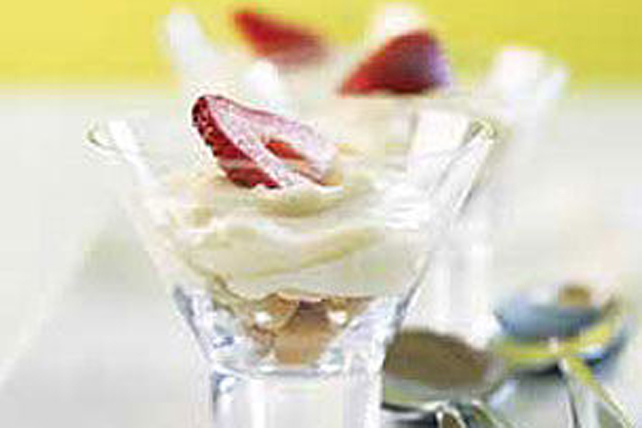 Spoon into 6 dessert dishes. This easy-to-make dessert is perfect for a special occasion.